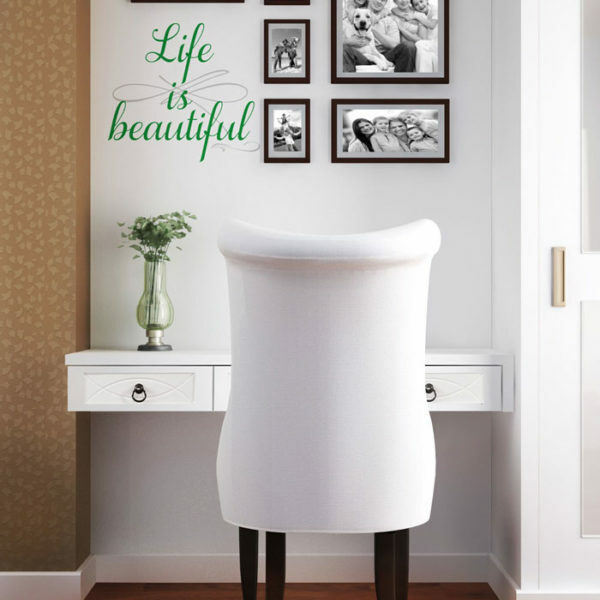 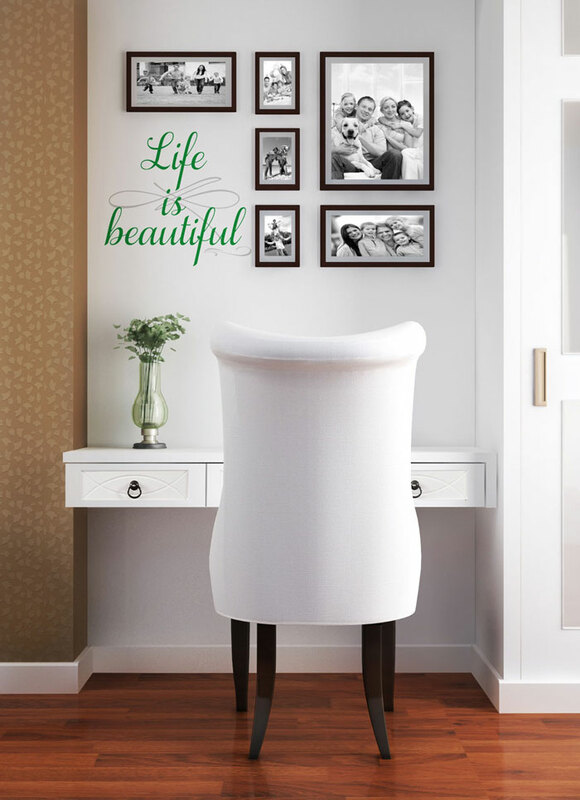 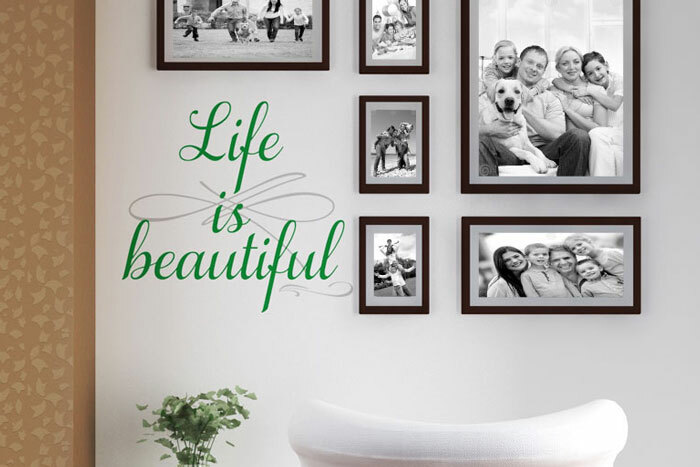 Life is beautiful and certainly, the best proof of that is with an elegant collaboration of your favorite moments displayed throughout photos on your wall with a wall decal that reads those exact three words that make those moments memories. 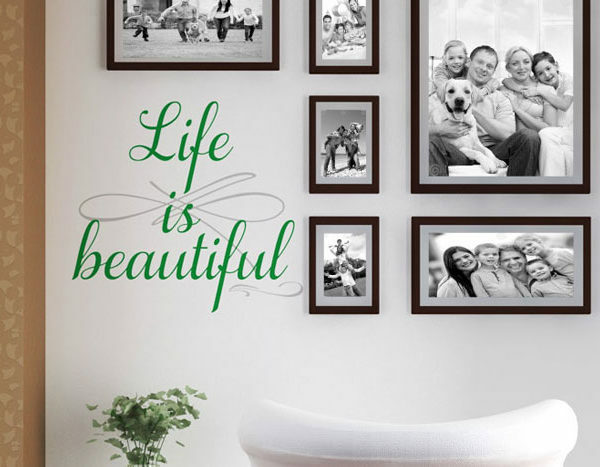 With the “Life is Beautiful” wall quote from DecorativeLettering, you can create a wall of everything that makes that exact same statement so true, and let that exact beauty shine throughout the interior design of your home. This wall quote adds an accent and appeal to your decor that no one else has, and with DecorativeLettering’s color and size customizations for their wall letterings, you can be assured that the wall lettering set will match whatever theme within your home that you choose, and with an easy peel and stick application, your collaboration of life’s beautiful moments that are displayed amongst your walls will be rejuvenated and complete.